The rise of omnichannel shopping requires that companies across the retail supply chain adapt quickly to new technology. In order to feel the full weight of the necessity of adaptation, we've compiled a list detailing the companies who refused to do so - and went bankrupt as a direct result. 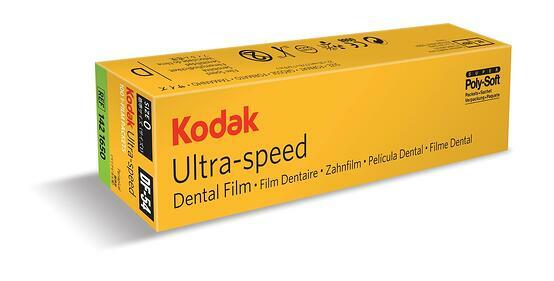 Did you know that Kodak invented the very first digital camera in 1975? Unfortunately, it wasn't enough to save them from the onset of the digital age, due to executives fear that the investing in digital film would cannibalize their business. They were right of course, but rather than reaping the benefits of their innovation, they were ultimately destroyed by the many other companies who embraced new technology, rather than fearing it. On September 3, 2013, Kodak emerged from bankruptcy having shed its large legacy liabilities and exited several businesses and has found new life by focusing on imaging solutions and services for businesses. 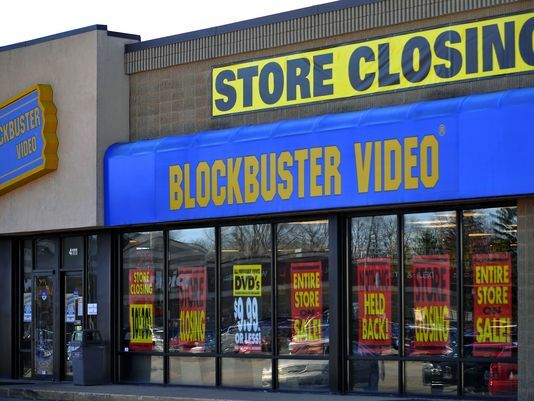 We all witnessed the slow demise of the booming video rental industry. What you may not know is that Blockbuster had several opportunities to buy a little DVD-rental-by-mail company named Netflix back in the early 2000s. Their CEO demonstrated considerable short sightedness by refusing the Netflix CEO and co-founder Reed Hastings when he proposed that Blockbuster buy Netflix for $50 million. 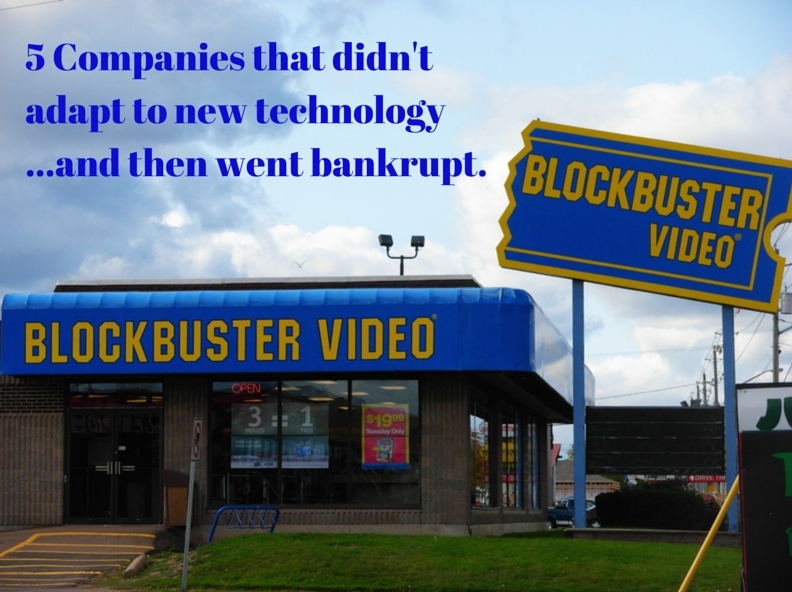 By the time Blockbuster shuttered it's doors for good it had lost $1.1 billion and was valued at around $24 million. Meanwhile Netflix worth was valued at approximately $13 billion. Oops! Borders committed several unfathomable mistakes on the path to self destruction. The first misstep: outsourcing their online sales to a little online retailer known as Amazon from 2001 to 2008. This was compounded by an inexplicable neglect of Ebooks: Amazon's kindle was born in November of 2007, Barnes and Noble released the Nook in November of 2011, and Apple's Ipad came out in April of 2010. Borders didn't release their "Kobo" until 2011 when it was a classic case of too little, too late. Add in an over investment in too many expensive brick and mortar locations with 15-20 year leases and you've got yourself a bankruptcy. In 1908 Edward Filene, son of Filene's founder William, opened the automatic bargain annex, also called Filene's Basement, as a way to sell excess merchandise from the upstairs department store. Filene's was eventually reacquired by Federated Department Stores, dissolved, and it's management assumed by Macy's. 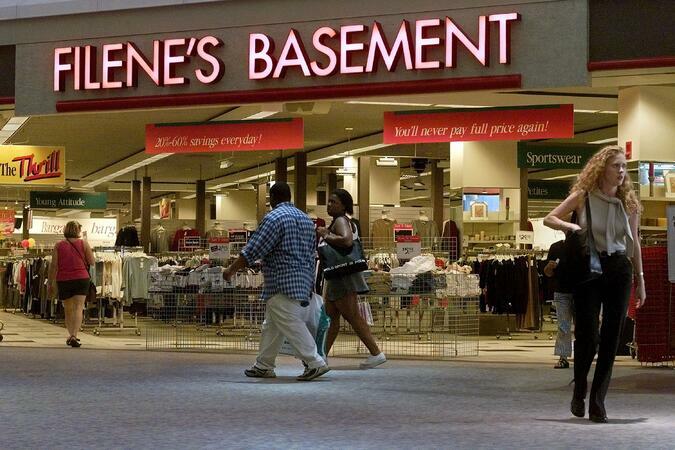 Filene's Basement, however, was separately owned and operated by Retail Ventures, Inc and was eventually acquired by Sym's, another off-price retail clothing chain. Filene's Basement was already struggling at the time of acquisition, but Sym's certainly didn't help the situation. According to Michael Tesler, a partner at Retail Concepts in Norwell and a former Filene's and Filene's Basement executive, "[Syms] used the same system that the store was founded on in 1959. They made no updates and were completely rooted in the past." 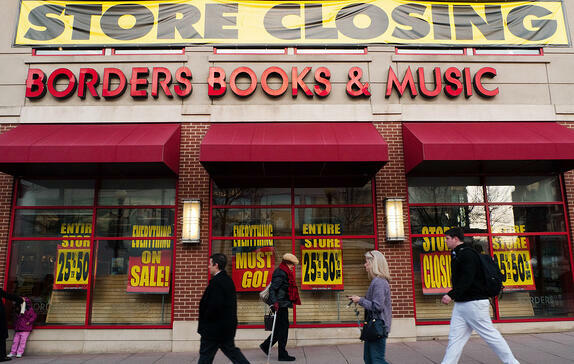 That fact, combined with luxury retailers like Saks and Nordstrom creating their own discount stores, and the rise of flash sale sites like Gilt Groupe, ultimately caused Filene's Basement and Sym's to shut their discount doors, forever. Its crucial for brands to embrace new technologies emerging within their industry, especially when it has the potential to disrupt the current business model. Technology waits for no man or brand and ignoring those that threaten your business is a surefire way to lose out to smaller, hungrier competitors who are itching for an opportunity to shine.